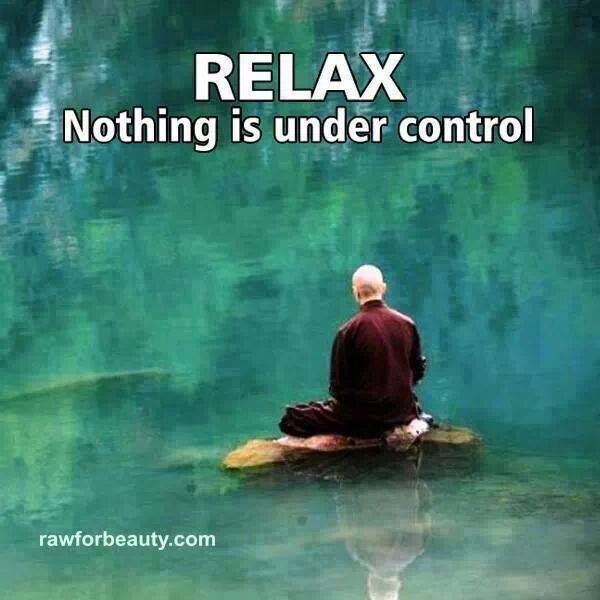 Life rarely turns out the way we plan. Sometimes it is way cooler. Our three-week road trip to explore the Yucatan was originally conceived to search for repurposed doors, windows, and hardware for the home we are building along the Laguna of Seven Colors in Bacalar, Mexico. 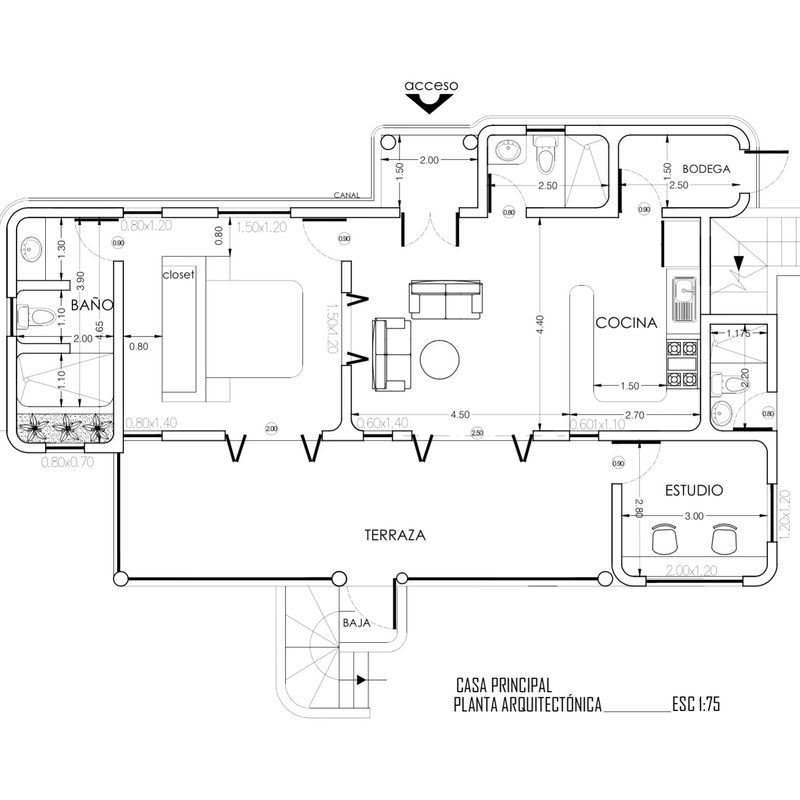 The design for the house is Pueblo or village style. It has stucco walls with arched wooden doors and lots of rounded corners. There are palapa overhangs for shade and a large screened porch. We like the look of concrete floors and persianas, (louvered windows) and open indoor/outdoor living. It is small compared to the mansions being built along the laguna, less than a thousand square feet. Perfect for Dos Tortas. We managed to find old wood doors, but unfortunately they were made of soft wood and not the hard woods needed for building in the jungle. The purchases we did make were local art for decorating our home. So much fun! In Valladolid we found a “bazaar” which means – used items. We spotted this wooden panel deep in the back of a room. She spoke to us and was the most significant purchase we made. I have a collection of Guadalupe’s. She will get her own wall in our home. The panel is made of wood by an artist from Tizimin. 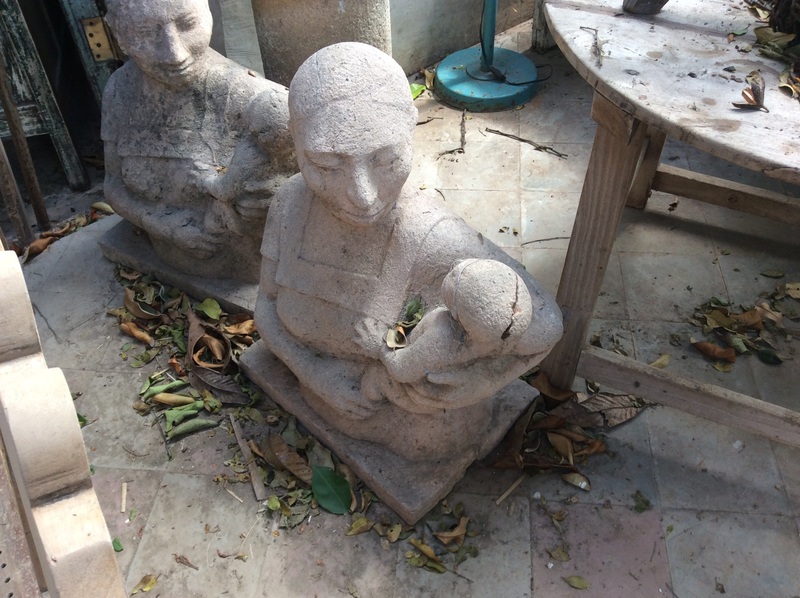 A mestizo mother and baby will be a garden piece, when we have gardens someday LOL. 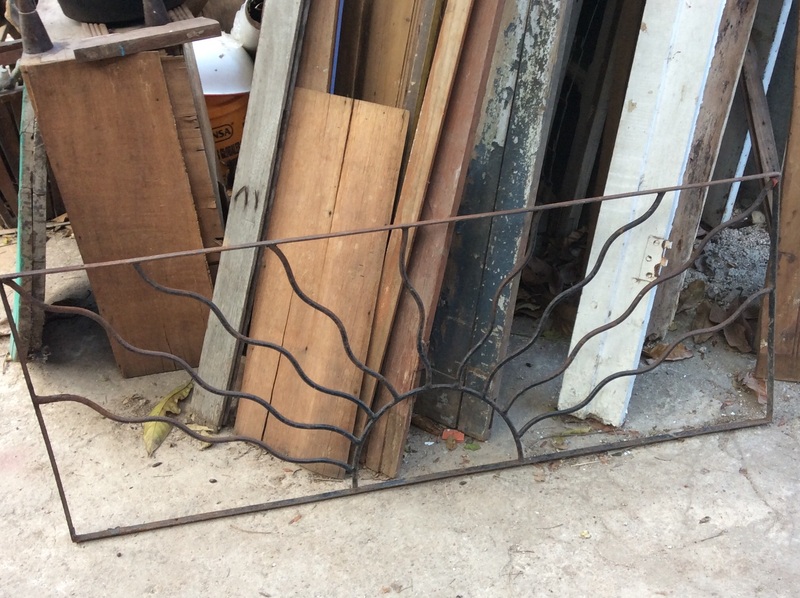 An iron sun will be incorporated into a roof railing to welcome the daily sunrise. 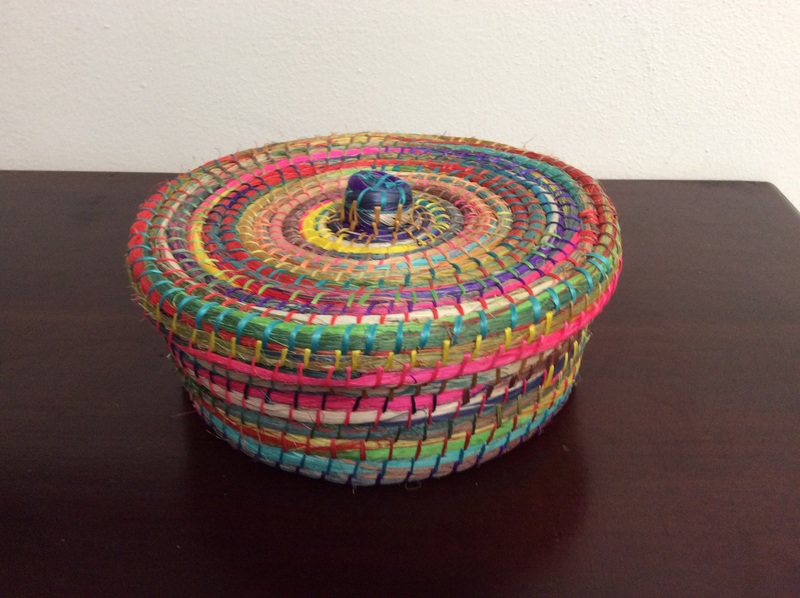 Next were hemp baskets. Before synthetics, hemp was a major industry in the Yucatan. 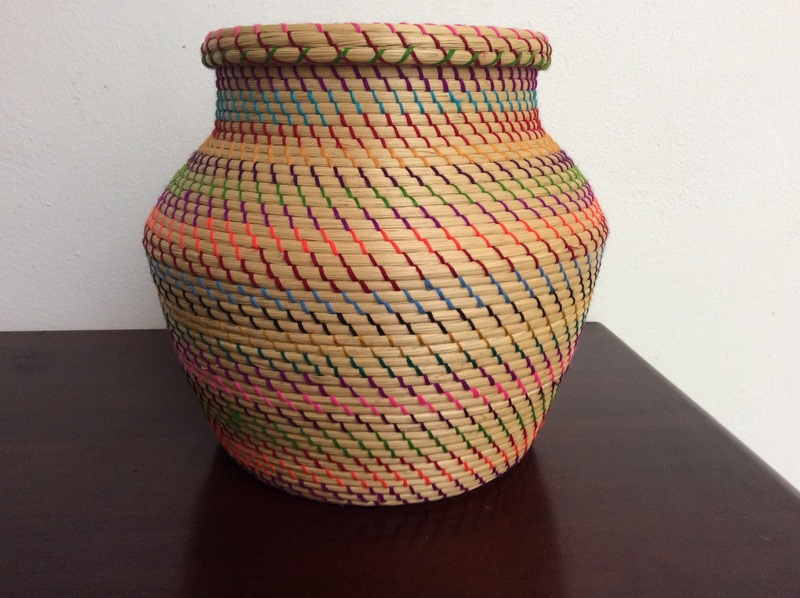 I bought a colorful tortilla basket in the convent store in the magical city of Izamal. Perfect for keeping the tortillas warm on the kitchen table. I broke my own rule and purchased this basket in a tourist shop. The price was right and I hadn’t seen another like it. I paid less than $20 for this 9″ tall basket. 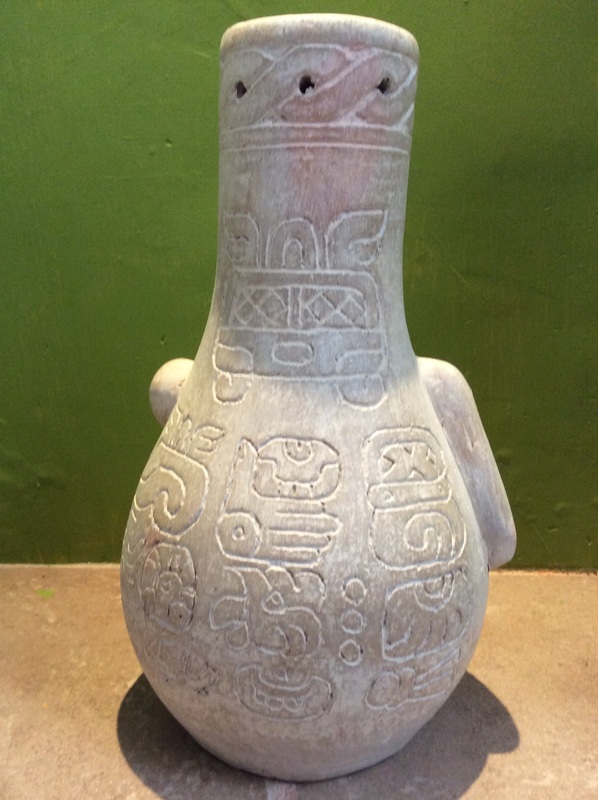 No one traveling to the Yucatan can resist the beautiful pottery. I know we will return to Ticul after the house is complete. At the moment, we have nowhere to store the really big pots that I adore. 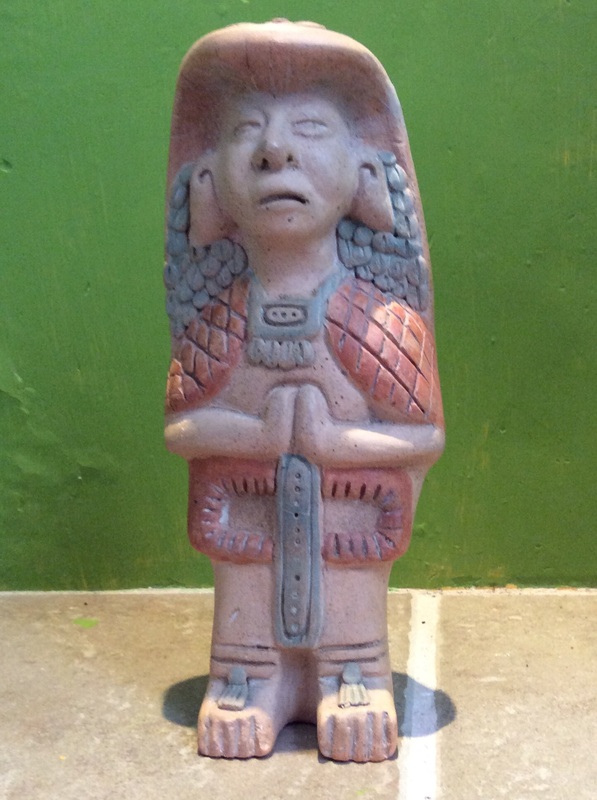 I was told that this small replication was a bruja or witch. Usually women who were known as witches were midwives or healers. Needless to say, she had to come home with us. 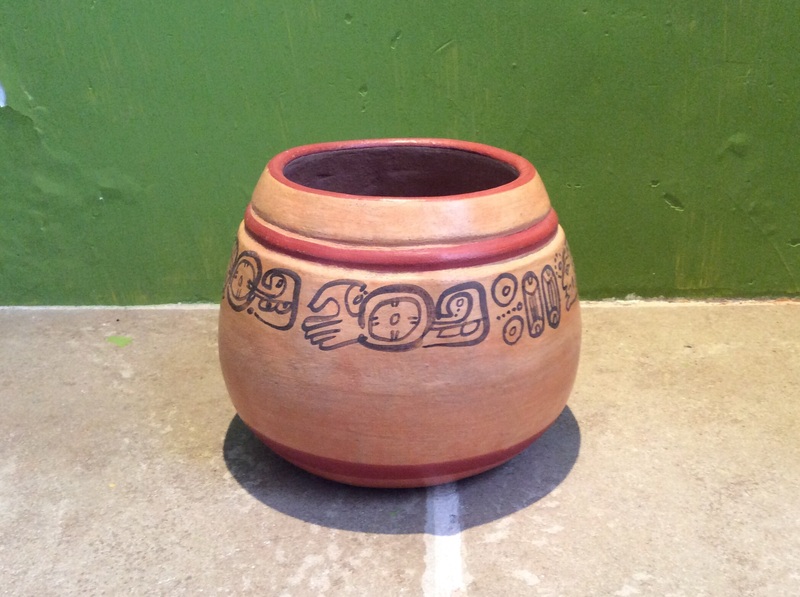 The last small pot was made by ceramics artist Roger Juarez. Visiting his Mayan studio was a highlight of the trip. By this time the truck was quite full. Only promises to return kept me from blowing the budget. My house is filling up before it is built. But we are having a good time finding pieces that speak to us. Wow – what a fun trip and how inspiring your search for items for your home is. So excited for you – yahoo! 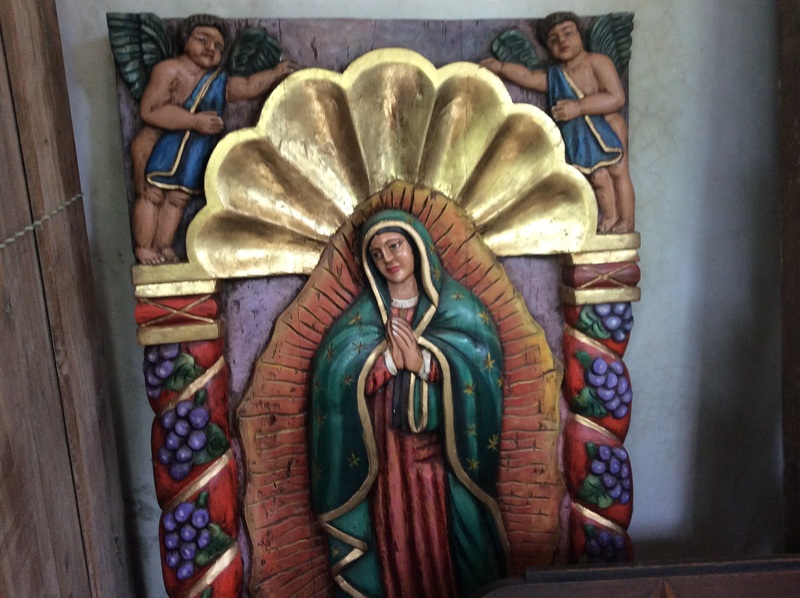 Many expats end up bringing their Mexican art collection back to Mexico to decorate their homes here. I love art, buying it AND making it. This is definitely an exhilarating venture. So very happy for you! Thanks for your encouragement and excitement. How well you know the process. 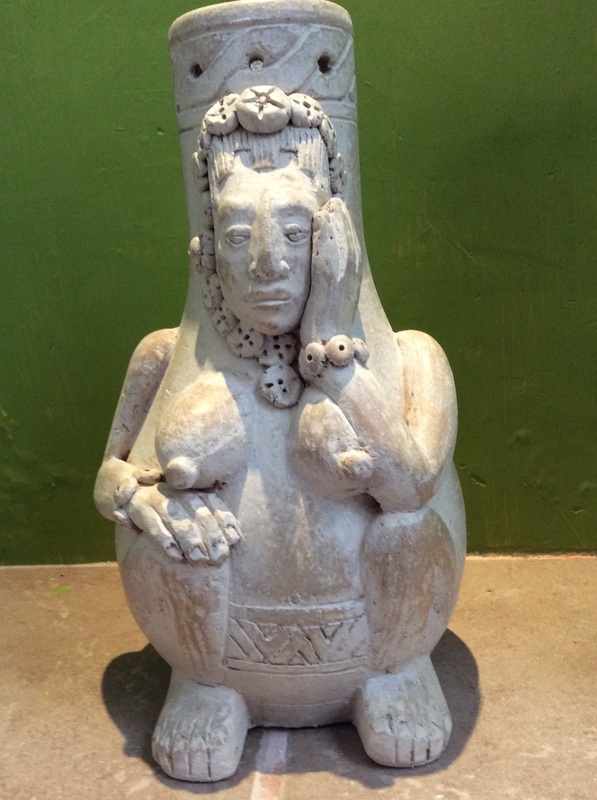 I am not at home right now, but when I return (if I remember, and if it’s okay with you) I will photograph a Mayan goddess I have and post it to your FB page. I have not seen anything like her. A friend gave it to me long ago. He’d had it quite awhile. He got it from someone who’d had it for years. And HE got it from a guy who smuggled it out of Guatemala many years previously. I considered taking her back to Guatemala, to repatriate her, but many have convinced me she’d be lost or tossed or shot in another war. So I’m keeping her. If you’ve seen anything like her, I’d love to know about it. Saw Martha briefly at meeting today. She looks lovely as always. Thanks for stopping by. Good time to be out of Merida. And when will you be home Vecina?